A cute kid’s upholstered chair that has been beautifully refurbished and brought back to life. Clearly, this kid’s chair had seen better days and some would have been tempted to throw it away. 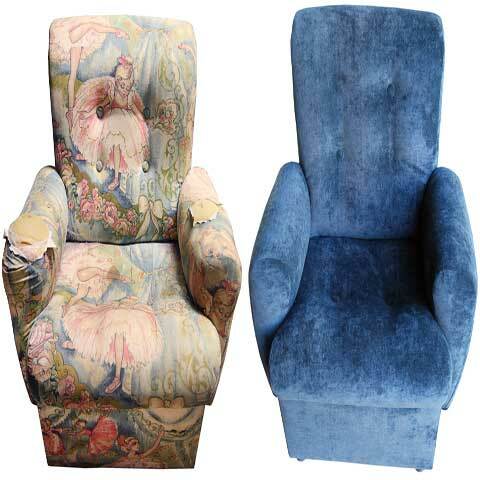 Our client had the vision and sentiment to have the chair reupholstered in a soft blue fabric. With new foam applied, it is now a super comfy chair for a child. So, if you have a child’s chair that is structurally sound but needs reupholstering please contact us for a quote.